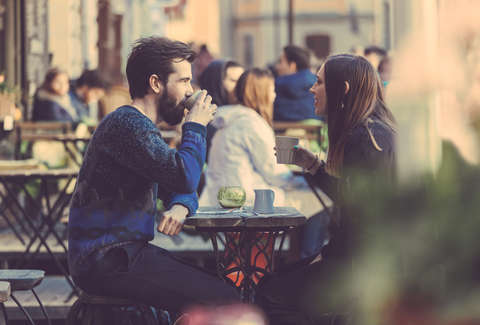 These Are the Best & Worst Cities for Singles in the U.S.
Finding love sounds super tiring, but if you feel like you have to do it, we don't want you exhausting yourself in vain. Whether you're looking to experience the profound fulfillment of human companionship, are scared of dogs, or are just looking to save on rent, you'll do yourself a big favor by looking in the right place. In short, check out one of these cities -- the top cities for singles in America. This ranking comes via WalletHub and compares over 180 US cities across 34 dating-friendliness factors -- taking into account things like the share of the population that's single, the number of online dating opportunities, and the nightlife options per capita. Check out the full ranking here, but we've got the top 10 and bottom 10 listed out below, plus a handy map from WalletHub so you can get the big picture on the country's big love-ready heart. To use this map, just hover over a location to see its ranking. The darker the dot, the better that city is for singles. To put this study together, WalletHub compared the top 150 most populated cities in the US, plus at least two of the most populated in each state, across three dimensions: 1) Economics, 2) Fun & Recreation, and 3) Dating Opportunities. Those were broken down into 34 weighted metrics and graded out of 100, then added up with the resulting overall scores ranked to make the list you see above. Note that the surrounding metro areas were excluded; these stats only apply to the cities proper. Atlanta took the top spot overall, with second in Dating Opportunities and ninth in Fun & Recreation. Denver and San Francisco both came in not far behind, but none of those three ranked particularly high in economics, which means dating might be an expensive as well as an exhausting pursuit. To find a reasonable balance between money and a romantic life, you have to jump all the way down to 14 with Tucson, which came in at 29 in Economics, 28 in Fun & Recreation, and 13 in Dating Opportunities. Plus you're less likely to have to date tech bros than if you live in a place like San Francisco. In dead last is Brownsville, Texas (if you lived in Brownsville and were waiting for love, maybe consider this a sign), which had the fewest online dating option and came in last for dating opportunities. That being said, it sounds like it's pretty affordable. Which is nice. If you're more interested in money than love, we recommend heading straight to the top cities with jobs paying over $100,000 a year right now.